BOSTON - Thursday, November 9, 2017 - Mayor Martin J. Walsh today announced the selection of Marty Martinez as the new Chief of the City of Boston's Health and Human Services cabinet (HHS). "Marty Martinez has spent his life serving residents and their communities," said Mayor Walsh. "I'm proud he will continue that work with the City of Boston. From creating youth programs at BCYF Centers, to creating welcoming spaces for Boston's immigrant population, to keeping our City healthy and safe through the Boston Public Health Commission, Marty will take on a leading role in ensuring a thriving, equitable Boston for all, and I look forward to having him on our team and accomplishing even more." "I am excited to step into this role and help lead the important and bold work to be done on the HHS front to support all residents of Boston," said Martinez. "Helping to implement the Mayor's vision for our City through Boston Centers for Youth & Families, the Office of Immigrant Advancement, the Boston Public Health Commission and so many more services and programs will be an impactful challenge and one that I am excited to take on. I thank Mayor Walsh for this opportunity, and look forward to getting started." Currently the President and Chief Executive Officer for Mass Mentoring Partnership, Marty Martinez joins the City of Boston after serving the Boston and surrounding area for over 20 years. He first joined Mass Mentoring Partnership (MMP) in 2007, leading the growth of program services. He was named President and CEO in 2012, where he lead the organization to unprecedented growth across the Commonwealth, strengthened advocacy efforts and state budget dollars on behalf of mentoring and young people, and elevated the role of diversity and inclusion in the mentoring movement. Mayor Walsh and the City of Boston joined forces with Mass Mentoring Partnership in 2014, and worked with Martinez to create the Mayor's Mentoring Movement, an exciting initiative to increase the number of empowering relationships for youth in Boston. 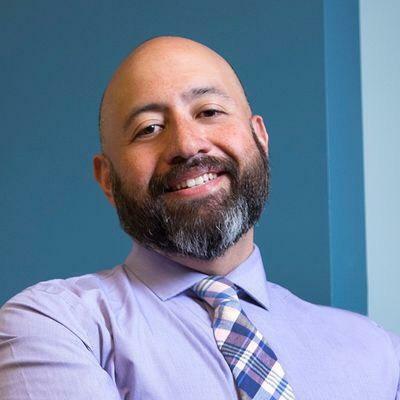 Before joining MMP, Martinez held senior positions at the Boston AIDS Consortium, the Regional Center for Healthy Communities at Mount Auburn Hospital, and the City of Somerville, where he led youth services. In addition to his professional experience, Martinez has deep roots in civic life, having served on a variety of nonprofit boards and run for municipal office. He currently serves as an Advisory Council member for My Brothers Keeper - Boston, an academic mentor at Burke High School, and as a member of the City of Boston Scholarship Committee. Martinez holds a bachelor's degree in Political Science from Nebraska Wesleyan University and a master's degree in Urban and Public Policy from Tufts University. As the Chief of Health and Human Services, Martinez will oversee several departments and offices, including the Boston Public Health Commission, Office of Recovery Services, Boston Centers for Youth & Families, Veterans Services, Fair Housing & Equity, the Disability Commission, the Commission for the Elderly, the Office of Fair Housing and Equity, the Mayor's Office of Food Access, the Mayor's Office of Immigrant Advancement and the Mayor's Office of Women's Advancement. The Health and Human Services Cabinet is committed to promoting the health and well-being of the City's residents particularly the most vulnerable. The provision of social, recreational, health and support services to city residents, particularly the homeless, persons with disabilities, women, the elderly, youth, immigrants and veterans, will be coordinated and made available in a customer-friendly and culturally sensitive manner. The Cabinet enforces all antidiscrimination laws and protections under the jurisdiction of the City, and advocates for the advancement of policies and legislation to address the needs of individuals and groups, supports disease and injury prevention, delivers emergency health services and health education and promotion services within the City. Martinez will begin his position as Chief of Health and Human Services on January 8, 2018. He lives in South Boston with his partner, Matthew Hall.